The book is designed to teach more advanced students to speak English. 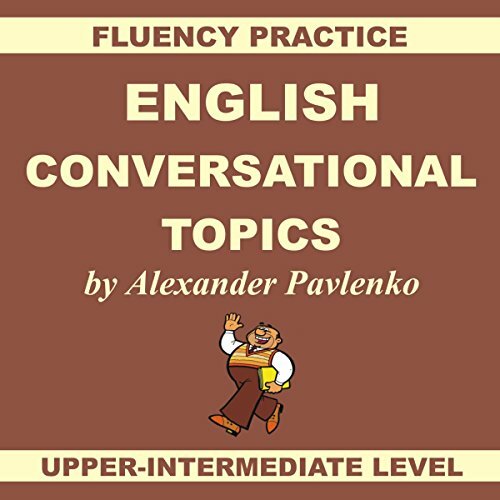 The volume contains 19 conversational topics. This volume has proved to be virtually indispensable for fluency practice at upper-intermediate level, helping foreign students of English master the language in the shortest possible time. A musician discusses the most common examination topics (19 main topics and more than 50 subtopics) used by schools and universities throughout the world. Narrating personal stories he gives opinions and explains his views on a variety of subjects. When you read about his experiences, you will be drawn into his world and feel like you made a new friend. You will get so involved into his life that you will be able to speak easily and fluently about your new friend and also about yourself for hours and hours on end. The stories are told in simple, everyday colloquial style.